We all know that the most valuable assets of your company are your employees. Having a great team by your side can bring a lot more than experience and expertise. The right employees also bring creativity, problem solving, and a fresh perspective to your business. Thus, holding on to your team should be a priority one! While you would like to keep your team together forever, it is possible your present environment will lead to their inevitable departure. Achieving employee satisfaction is no easy feat and can often be the leading reason why your superstar employees leave your organization. Luckily there are steps you can take to prevent this from happening. The first (and maybe most important) step is to understand why employees may want to leave your organization. Do not fret if you are unsure of where to start. 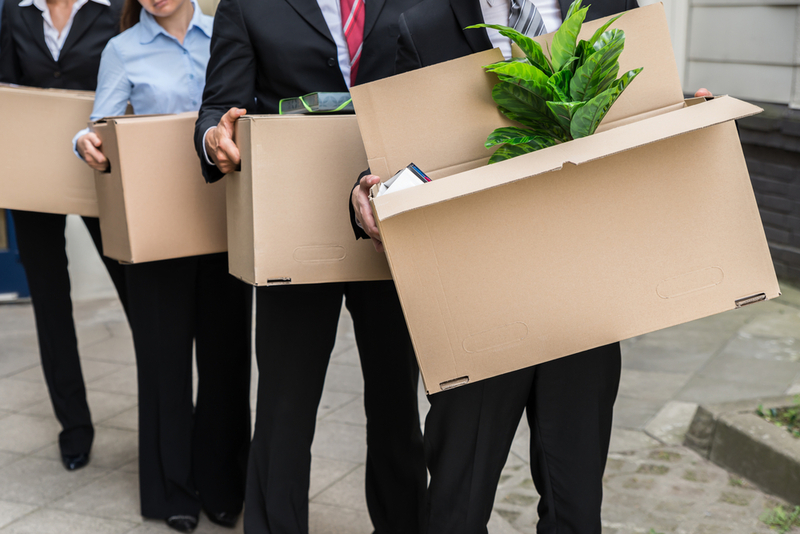 Check out our list of five reasons why good employees leave. No Path for Growth It is no secret that people are hungry for more; human nature makes us ambitious and driven, to strive for more than what is in front of us. Thus, it makes sense that your employees would like to have the opportunity to advance as far as they can. If your company lacks a clear promotion track, it is highly likely that some of your top performers may be looking elsewhere. Promotions provide more than just a title and bigger pay check; they are opportunities for your team to take on more responsibility and feel like they are growing within an organization. It may be time to investigate adding levels to your team, such as Specialist I, Specialist II, and Specialist III to give your team motivation to always perform their best. Better Opportunities Come Along If an employee tells you his reason for departing is due to “a better opportunity presenting itself,” know that this does not necessarily mean a promotion. It could be something bigger, such as corporate culture alignment or a shift in work responsibilities. When was the last time you checked in with your team to find out how things were going when it wasn’t just about work? Do you actively speak with your team or wait for them to come to you with a question? Ask your team for ideas and feedback – and implement some of their ideas. Providing opportunities for your team to voice their opinions and thoughts make them feel like they are part of the decision-making process. They will feel connected to the organization – more than just a cog in a wheel. Lack of Raises or Low Pay Whether we like to admit it or not: bills have to be paid. The longer your team stays with your company, the more life changes they will experience. Getting married, starting a family, and buying a home are great milestones to strive for – but they will not happen without money! If your employees work hard and provide great results, it may be wise to compensate them for their efforts. When was the last time your company researched comparable pay for positions offered? Are you offering competitive salaries or raises for the area in which you operate? How long has your team been at the same wage? Low raises and non-competitive pay are two reasons to incentivize your team to look for a new job with a better salary. Money is a sensitive topic to talk about and many of your employees may be hesitant to bring it up. Why not initiate the conversation and ask them about it? Monotony Do you ever feel like you tire from routine? If so, you are not alone. Monotony can be a big influence when employees decide to leave their current employer. In fact, a survey done by CEB found that one out of three superstar employees are disengaged from their employers and are actively looking for new jobs. Your team needs to do more than just sit at their desk and do the same job responsibilities day after day after day. You can better engage with your team by setting up new training programs or providing them opportunities to attend offsite seminars or online Webinars. Cross-training is another way to engage teams across department lines and to build skill sets while creating “backup employees” in case a team member is on vacation or out sick. Make sure your team is not only engaged in the activities they are performing, but doing work they feel proud of! Bad Management More often than not, great employees end up leaving because of bad management. It is difficult to look within and discover if your management team is treating your employees with respect. A leadership team that is disorganized, unfair, or not transparent are major turnoffs for employees. Your team looks to management for leadership and guidance, so it is important to try and build relationships with them rather than walls. Before some of your best employees make for the exit, take the time to reevaluate your practices. Make sure you are providing your employees with the best environment possible to grow and learn. And not only will you be able to keep your best assets, but your business will grow and thrive as well. These suggestions are only a few of the many reasons why your superstar team members are leaving for new opportunities. The best thing you can do is simply ASK your team for feedback on how operations can be improved and create a thriving environment with the same team year after year. Emplicity understands that HR Outsourcing should be simple and meaningful. As a Professional Employer Organization (PEO), we strive to be a great partner in supporting your business. If you would like to request more information on how we can assist your needs, please reach out to us at 877-476-2339. We are located in California – Orange County, Los Angeles, and the greater Sacramento and San Francisco area.